The next generation whey protein by GN. Due to its extreme anabolic effects, its unparalleled digestibility and its high biological value, whey protein is superior to all other natural protein sources. And even if it were for none of these, it's high BCAA content would still make whey protein the undisputed #1 protein source for bodybuilders. Physique competitors know like no other group of athletes how important the precisely timed ingestion of the right form of protein is. The timing of fast (whey) and slow (casein) digesting proteins may not be the most important determinant of training success; and still, practitioners all around the world will agree that it can make the difference between victory and defeat for competitors and minimal increases in lean mass and highly visible muscle gains for averages Joes & Janes. With all this information on their minds, our product designers and researchers set out to produce more than just another identical clone to the low quality whey protein supplements which are contemporarily congesting the market. The idea was to produce a product that would surpass the majority of currently available protein powders in terms of its amino acid profile, its digestive properties, its taste and solubility. This protein was meant to have an extremely high protein and comparatively low fat and carbohydrate content and it would have to be produced based on the highest quality whey protein the market has to offer. Sounds impossible? Not for our research and development (R&D) team who managed to fulfill all the criteria and called the results of months of hard work "100% Dairy Whey – GN Laboratories' next generation whey protein supplement that's almost certainly about to become the new gold standard in the supplement industry. If you've tasted the new GN Laboratories' 100% Dairy Whey once, you will not even think about returning to your current whey protein – you can take our word on that. What is the difference between 100% Dairy Whey and the competition? The above question is almost too easy to answer. If you take a look at the list of most popular whey protein products on the market, almost all of the supplements in the top five have a fat content way beyond the 1 gram threshold and contain 3-5g of carbohydrates. In our minds, values like these are simply too high for a supplement you are taking as a protein source, and only as a protein source. Think about it: Why would you want to ingest a ton of carbohydrates from a protein shake? If you did that you could simply pick up a Gatorade instead. For our research and development (R&D) team it was thus always clear that a high quality cross-flow micro-filtrated whey protein isolate was the only option we had to produce a product with less than 1.5 grams of carbohydrates and less than 1 gram of fat. A product that would deliver a maximal amount of pro-anabolic protein and a minimal amount of potentially pro-obesogenic fats and carbohydrates. Due to the heat- and acid-free cross-flow microfiltration technique we use to produce our new 100% Dairy whey, here at GN Laboratoreis, the final product will contain only 100% undenaturated whey. For you this means that all the health promoting, proanabolic protein microfractions like alpha-Lactalbumin, Glycomacropeptide, beta-Lactoglobulin, Immunoglobulin G (IgG), Lactoferrin, serum Albumin, Isozym, Lactoperoxidase etc., as well as the natural growth factors such as IGF-1, TGF-1 and TGF-2 remain intact. For most of the regular whey protein products on the market this is not the case. Unlike GN Laboratories' 100% Dairy Protein they are exposed to high temperatures and/or acidic substances during the production process. The heat and acid treatments make the protein harder to absorb and will destroy the various microfractions and growth factors with their various non-protein related health benefits, such as the ability to reduce the activity of the catabolic hormone cortisol. It is thus important to look beyond the mere protein content of a given supplement. Just as it is the case in so many other areas of diet and nutrition it's not all about the quantity of protein. The quality of the supplemental or dietary protein you ingest is about as, if not more important than the total amount. Only GN Laboratories' 100% Dairy Whey will allow you to exploit the full anti-catabolic, muscle building and health improving prowess of whey protein! After choosing the perfect protein source, our flavor designers were facing a major challenge: "How do you produce a flavor worthy of a protein supplement like GN Laboratories' 100% Dairy Whey?" A challenge of which you will certainly say after you've emptied your first shake bottle of that they've passed it with flying colors. And let's be honest, we all know that taste – contrary to hundreds of accounts people have left on the various bulletin boards in the Internet – is an issue. It's a major issue of which many of you will know that it sealed the fate of all the bad tasting protein powders which are nor rotting away in your supplement cabinet. Why is whey protein so essential for bodybuilders? We've already provided part of the answer in a previous paragraph: It's the natural protein source with the highest BCAA content and biological value, we know. This makes whey protein the perfect choice for anyone who strives to build lean mass and set new personal bests.  Next to its anti-catabolic and pro-regenerative effects, its digestion kinetics, i.e. the fast absorption of the highly soluble whey proteins probably is its largest plus. Unlike casein which provides a very stable influx of amino acids to the portal vein for up to eight hours, whey protein will be digested within 20-40 minutes. The subsequent increase in serum amino acids will then set the anabolic machinery in gear – machinery that will pump the amino acids from the blood into the muscle. Irrespective of whether you ingest your 100% Dairy Whey right after or within the first 2h of your workouts, whether you use it as a snack or simply increase the protein content of a meal with 100% Dairy Whey, there is always one thing you can take for granted: The rapid increase in serum amino acids will trigger a significant hypertrophy response and justify each and every penny you've spend on the best-tasting pure cross-flow micro-filtrated whey protein on the market. 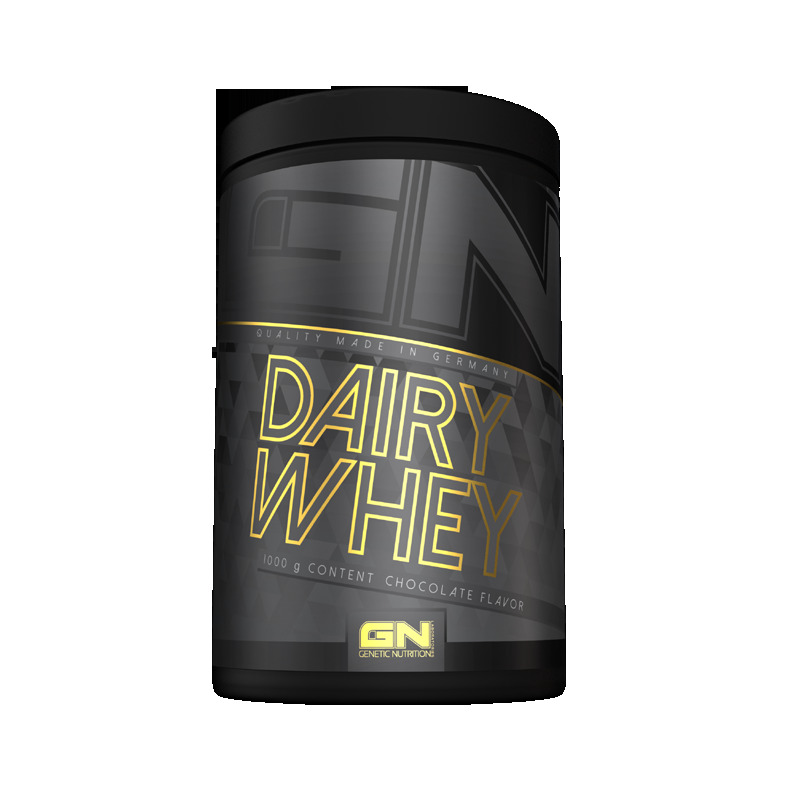 Use the pro-anabolic effects of GN Laboratories' 100% Dairy Whey to your advantage: Take your muscle gains to a whole new level. When is the best time to use GN Laboratories' 100% Dairy Whey? Usually you would ingest 1-2 servings of 100% Dairy Whey right after your strength training workouts to exploit the natural increase in protein synthesis in the immediate vicinity of a workout. 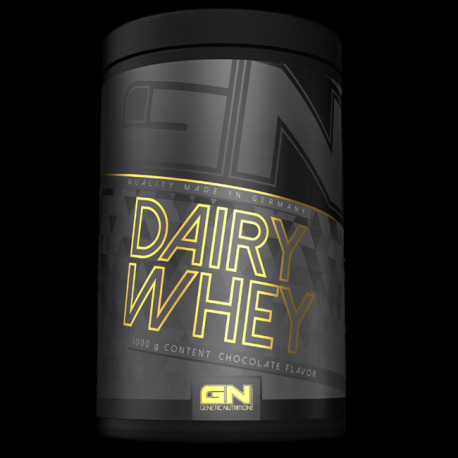 There are yet also a bunch of additional time points where the ingestion of GN Laboratories' 100% Dairy Whey can help to maximize your gains. One of them is the use of whey protein right before a workout. This practice will minimize the acute catabolism of muscle protein as a source of gluconeogenic amino acids and will thus complement (but not replace) the pro-anabolic effects of the post-workout protein shake. The anticatabolic effects can also come quite handy in the AM. In the minutes and hours after an overnight fast your body is in a catabolic state. A state that can be ameliorated by the ingestion of food and completely reversed (from catabolism to anabolism), if you ingest a full serving of GN Laboratories' 100% Dairy Whey. Due to its non-exercise / fasting dependent protein anabolic effects 100% Dairy Whey does also qualify as a perfect snack. The rapid increase in serum amino acid levels will after all trigger the influx of protein into the muscle, irrespective of whether you consume your 100% Dairy whey it in the morning, after a hard workout or simply as a snack between meals. Super Geschmack mit Haferflocken und Wasser das perfekte Frühstück! Was mich leider gestört hat ist das ich das Produkt als 1kg Portion nur bestellt habe weil es mittlerweile in einer Dose ist, ich habe allerdings einen Tüte bekommen. Klumpt nicht, schmeckt super, 40% Isolatanteil - was will man mehr? Raspberry Yoghurt White Choc & Cookies n Cream sind ein Träumchen. Titel:40% isolatanteil was will man mehr !!! Jeder der auf Qualität steht zu fairen Preisen, der wird hiermit glücklich ???? Das schmeckt so gut! Liebste Sorten: Irish Cream und Raspberry Yoghurt. Am liebsten mit Milch oder zum Backen. Aber auch mit Wasser super! For a Delicious, Creamy shake, add 1 slightly heaped scoop (30g) to 250ml of cold water or your favorite beverage and shake or blend to perfection. Murderous, literally skin-busting pump that will turn any of your workouts into an experience - Arnie would have loved it! We bring you the best EEA Formula which is quite similar to the human body with all important Amino Acids to save your gains bro and the life of your training partner. FA Vitarade EL Most efficient carbohydrate drink available on the market!